OPEC's cut of 1.2 million barrel per day in oil production is likely to increase gas prices. An increase in oil prices is likely a precursor to higher gas prices over the holidays. Following an agreement by OPEC, the Organization of Petroleum Exporting Countries, last week to cut global oil production by 1.2 million barrels per day, the price of crude oil rose to $55 per barrel, a 16-month high, as Yahoo News reports. AAA reported a seven-day increase in national average gas prices which reached $2.18 per gallon Monday. That is a five-cent per gallon increase from last week. OPEC’s cut in production is to take effect Jan. 1 and is meant to re-balance the global oil supply and raise prices, according to a press release from AAA. As of Monday, the U.S. Energy Information Administration, reported average regular unleaded gas prices of $2.21 per gallon, which is about 15 cents higher than a year ago, and average diesel fuel prices of $2.48 per gallon, which is just over 10 cents higher than a year ago. 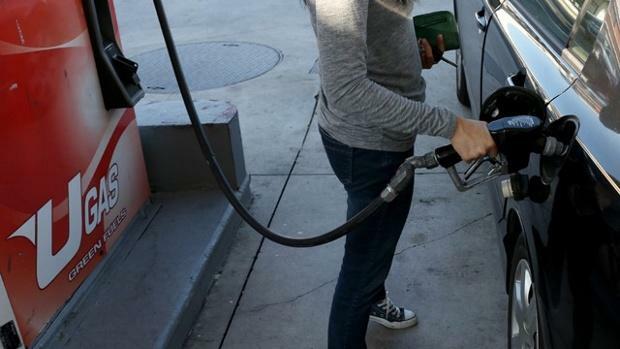 In a press release Monday, GasBuddy.com, an online fuel price monitor, reported that the OPEC cut was larger than expected andPatrick DeHaan, senior petroleum analyst at GasBuddy, tells motorists to expect a nearly countrywide increase over the coming weeks. DeHaan doesn’t expect gas prices to rise to the $3 per gallon range because while the cut in oil production was meant to balance supply and demand, he believes the rally in oil prices is like a balloon that is filled with too much air and therefore will soon pop as the market corrects itself. Can Big Oil Be Prosecuted Under the Fraud Laws That Brought Down Big Tobacco? In 1999, the federal government found big tobacco companies guilty of racketeering under the US’s RICO law, traditionally used to go after organized crime syndicates. The Feds found that big tobacco had knowingly funneled money to fake research groups whose job it was to disseminate “science” claiming that smoking wasn’t, in fact, bad for you.